Help! Damson? Bullace? or big sloes? We have just joined after a week searching high and low on google for some answers to some wild fruit/ berry we have come across. We have been helping an elderly relative tidy there farm and in the clearing process uncovered 100's of 'fruit bearing' trees. The 2nd pic are a row of these trees maybe 6 or 7 all with same sized 'fruit' on no sloe trees in and around them. The last pic above is what the inside looks like the above two 'fruits' come off the same tree as pic 2. Anyway touch wood someone will be able to clear this up for us and will be much appreciated! Welcome to the forum John. I don't have experience of those fruit but I know someone will have and you should get your answer quite soon. Do pop over to the Introduce Yourself thread and tell us more about yourselves (I spotted that there is more than one of you). I'm not an expert on this but there are damson trees growing near us and the fruit look about the right size, possibly slightly on the small side. 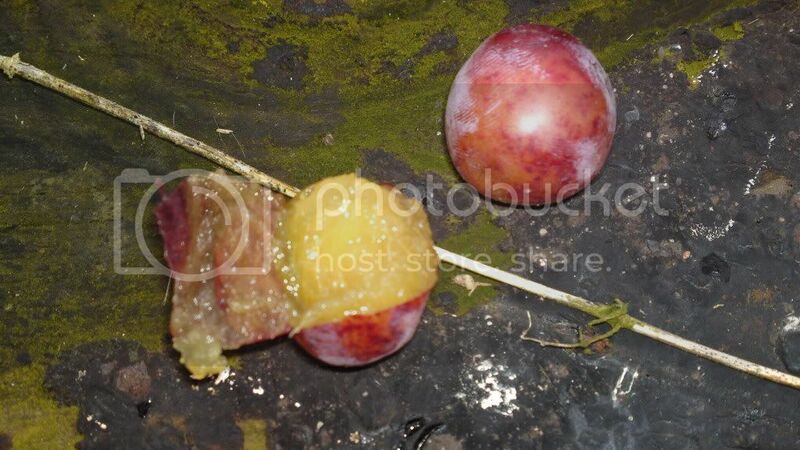 Any wild plums or bullaces I have seen usually have a greenish flesh instead of yellow. I haven't been to pick the local damsons yet this year - I'll have a look tomorrow and see if there are any left. The majority of people we spoke to have said damson but just going off pictures on the net the damson I have come across seem more pear shaped, its just when someone said bullace and I have looked on pictures I seem to be leaning more to them, but I have been told today that bullace is a type of Damson anyway?!?! either way they taste spot on and I am sure the missus will be able to put them to good use! Welcome to the forum. Last Autumn Fiona did a piece on the recognition of these varieties of fruit, with a photo. Go to her blog area of the site to search for it. Damson and bullace are more or less the same, the picture there seems to look like a wild Victoria plum which is exactly the same that is growing in the field behind my house. Sloes, Bullaces,And damsons are usually all dark purple in colour. I've made some of what I call wild plum jam this year, and stewed some for mixing with yoghurt. Ditto for what I call wild damson jam and stewed, which I differentiate from wild plums on the grounds that they taste like shop damsons, and are as sweet. I looked into this a year or so ago - there might be old threads here about it - and what I discovered is that plum trees grow true from shoots, but not from seeds. Grafting too, I should think. I've found over the last few years a whole load of trees with what I call wild plums in pembrokeshire, and, like blackberries and hedgerow apples, there is a wide degree of difference in bitterness, other taste cues, and the time at which they become ripe. There are various claims of variety of blackberry, running into hundreds, though actually I suspect more - almost infinite. My view is that the same thing can be said of wild plums. Certainly there is a helluva lot of variation in taste, size, bitterness, timing. Getting to know which are the best ones for your purposes is a matter of experience. Some of the ones I use for jam are quite bitter, which gives the jam, I think, more depth of taste. I have no garden, but if I did I wouldn't try to grow any plum from seed. If one could extract a shoot (is that legal?) from a good tree, then I'd think that would be the way to go. I agree: here plum trees are used fr hedging and there are loads of them everywhere: befor picking we do a taste test and only pick those that taste ok! There are various claims of variety of blackberry, running into hundreds, though actually I suspect more " almost infinite. I agree totally with that. I think there must be dozens of hybrids of plum/damson/bullace/sloe in the hedgerows of Britain, probably the result of cross pollination. Many of which may well have no name. The fruits in photo 2 look very like some that grow near me. 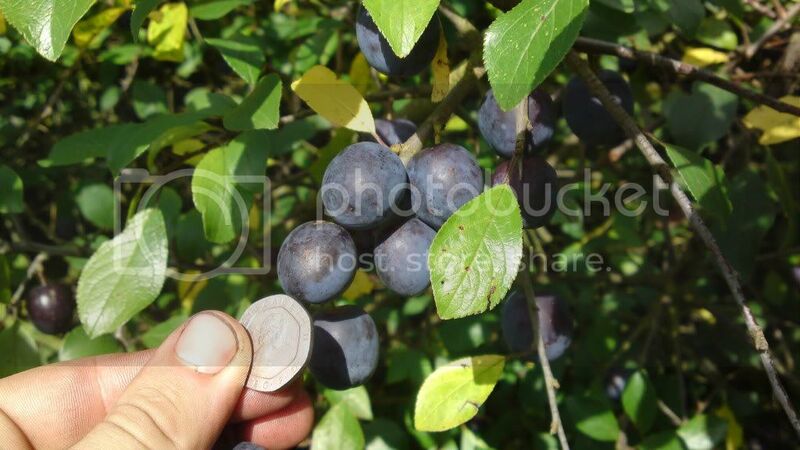 At first I thought they were big sloes until I tasted them¦¦¦..sweet not sour. Endless trawling through books and internet have failed to establish what exactly they are. I have simply resorted to calling them damsons. I use them to make a very pleasant flavoured gin. 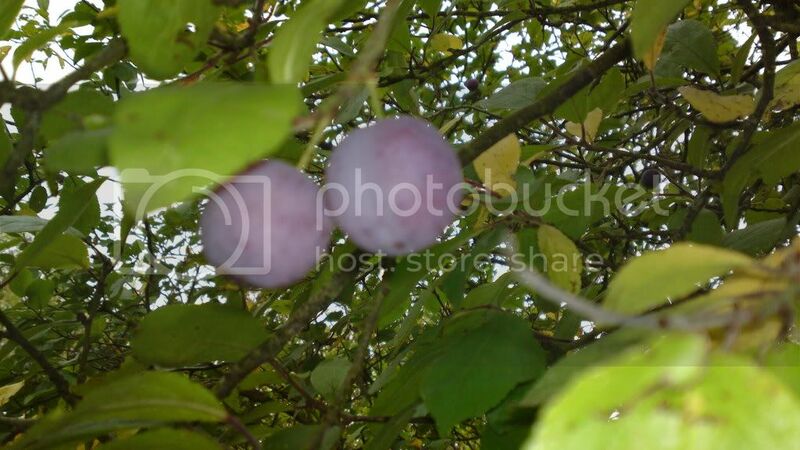 The third picture looks like the kind of plums we have here in Latvia. Very nice but on the small side.